There are 338 posts in this topic. You are on page 3 of 7. Used one I saw must have sold. Considering just popping for a new one. 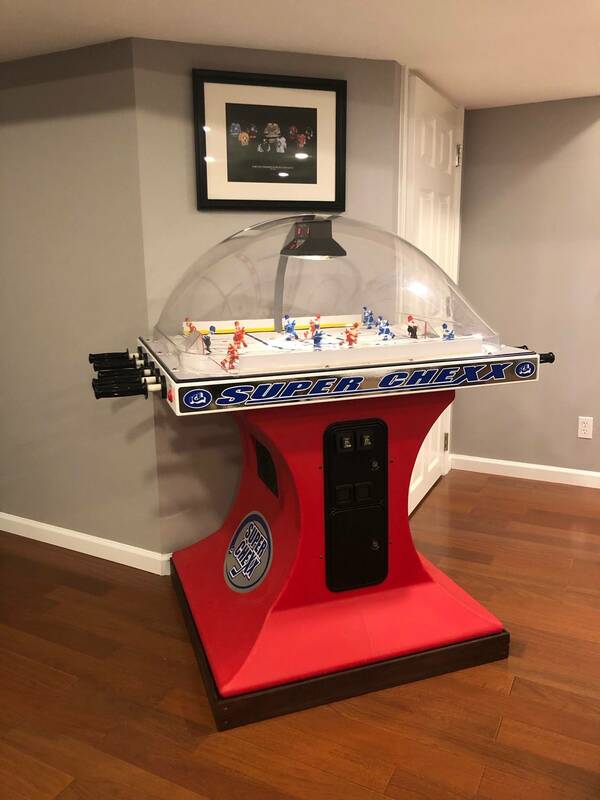 I have one in my game room, and it's probably the biggest hit. Second in line is the Namco Pac Man 4 player machine. Both of these are constantly being played during every party. I have both these and agree both are major hits! Order placed today for a red pro split base. I'm planning to join the club in about 2 weeks and fulfill a goal from childhood to own my own Chexx machine. I'm going to get a Super Chexx Pro, HUO with a split base. I'm strongly leaning towards a Miracle on Ice version, though I'm starting to have second thoughts as I'd prefer to have a black base and it seems like everything is trimmed out more for a red base. Two quick questions - has anyone gone the route of ordering the Miracle version with the black base? If so, any feedback or pictures you could share? I realize it is more a personal choice and either version will likely look great but I want to gather some outside opinions. Second question - I know the animations are generic (red/blue), but is the user able to select which team has the red/blue players? I'm assuming the Miracle version would have the USA as blue and Russia as Red, but if not it would be nice to be able to switch. 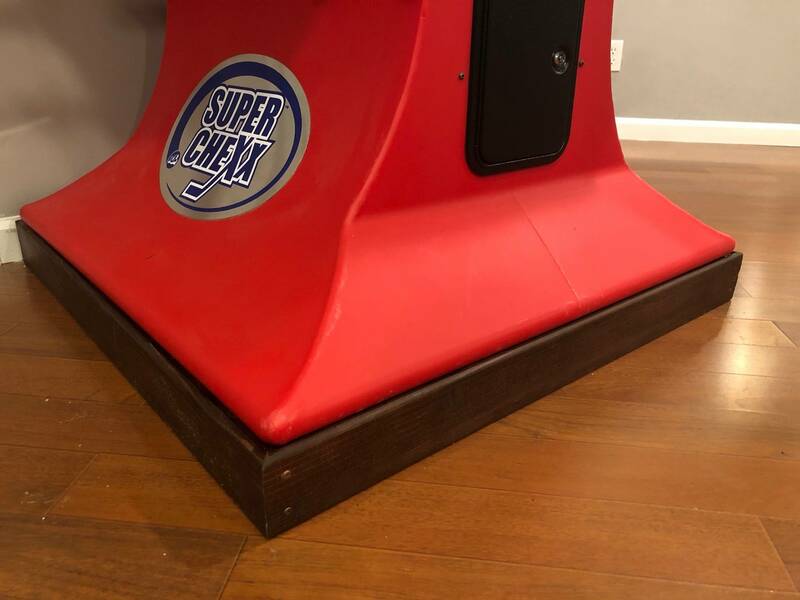 Final question - has anyone tried the cup holders available by ICE (they are advertised for the Super Chexx so I'm not sure they will fit) and if not, are there any recommendations for a third party solution? Thanks in advance for any help/suggestions! You are able to select either blue or red for the home/away team on the Jumbotron. 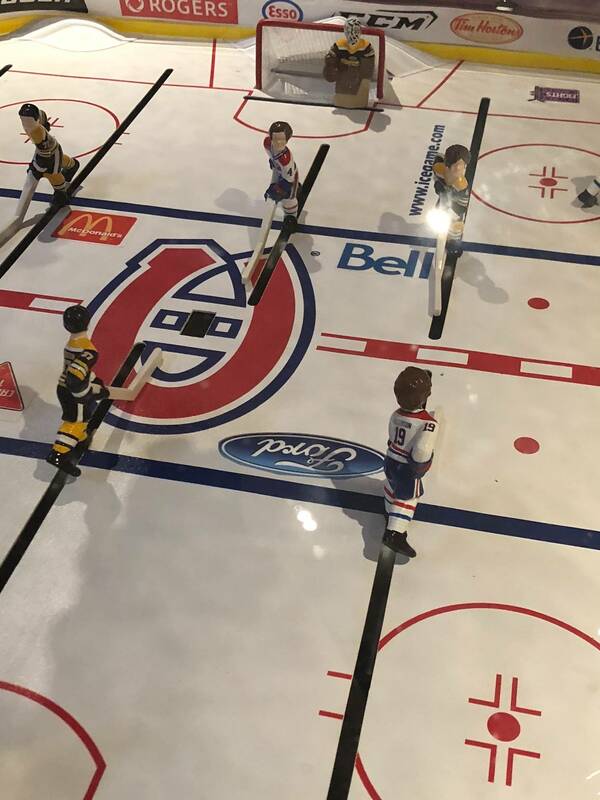 If you want the team colors to match the physical colors of the men on their respective side, I think you’d have to physically move the players to the side you want to represent ‘home’ or ‘away’. 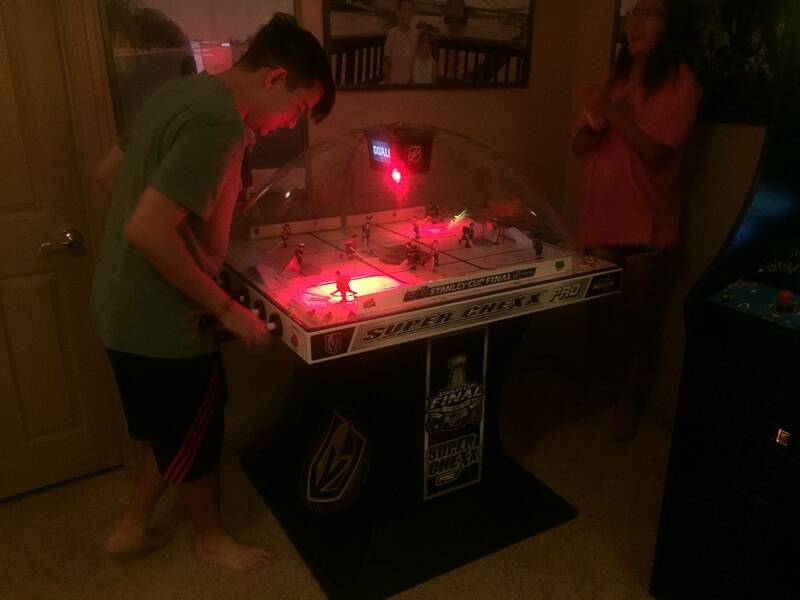 Out of the box, I seemed to remember a discrepancy of the wrong team color shown on the Jumbotron scoring a goal. 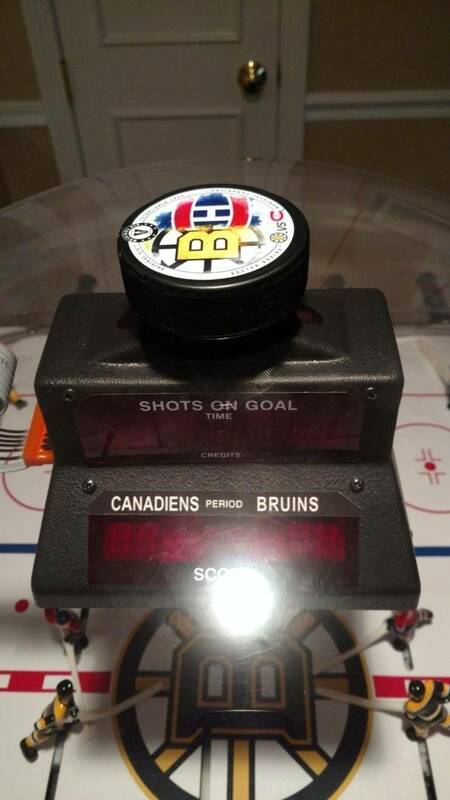 The game has no idea what color player is on the playfield, all it knows is if the puck goes in one goal, it scores a goal for either Home or Away. Since I chose generic blue/red teams, I don’t move my players to the other side, I just changed who was Home and Away on the JumboTron settings. Taking the players off the playfield and replacing them is a simple process. Separately, you can play whichever national anthem you want. Big hit! We all get crazy playing this game. Got my machine delivered within 3 weeks of ordering, its awesome. 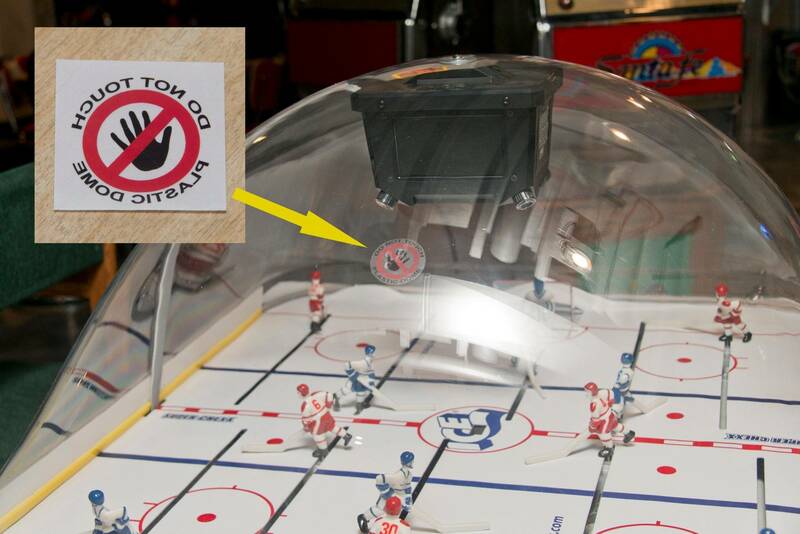 Whats the purpose of the clear plastic film that hangs down from the crossbar? 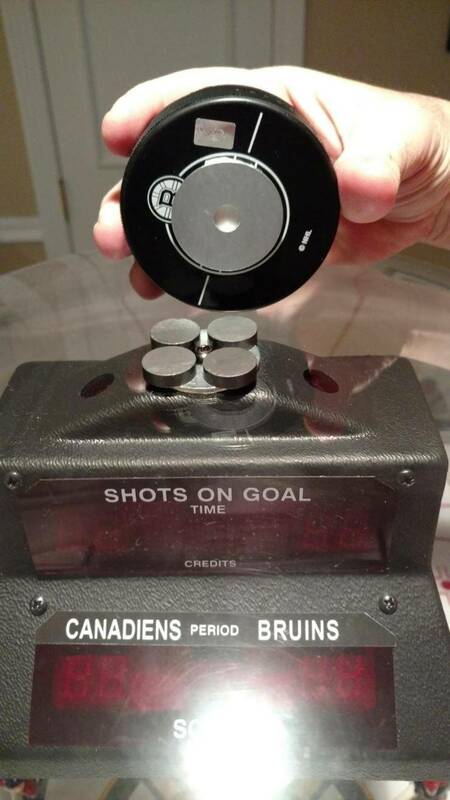 My guess it deadens the puck and prevents bounce-outs? I just placed my order - now the long wait can begin. I went with a HUO, black split base with the Wings and Leafs. 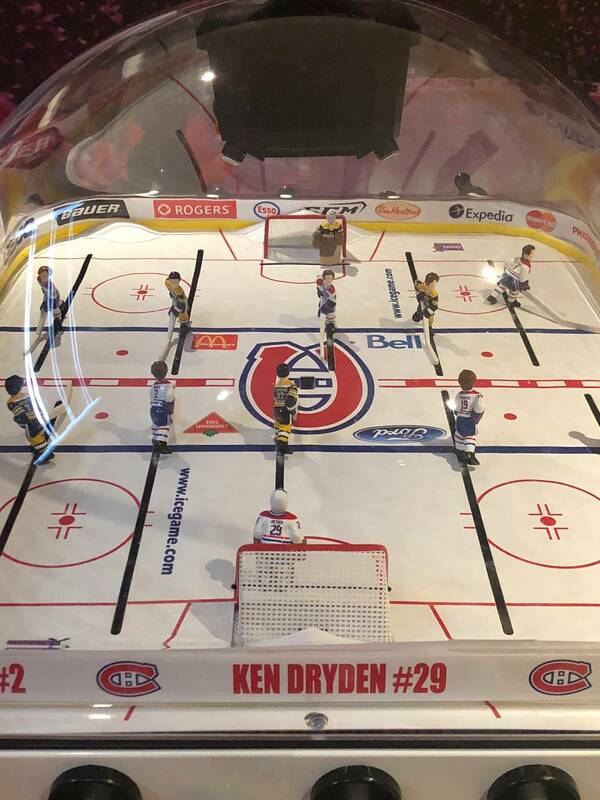 I have a 7 and 5 year old so I'm hoping they will both get years and years of fun and use out of this with each other and their friends. I rarely see this in any modern arcade anymore (which is a shame), but the nostalgia from playing this dozens of times as a kid was more than enough to justify the cost. If you select specific teams, can you also select specific player numbers for their sweaters? Not sure what you are talking about. Can you send a pic? You guys who own one are super lucky. One of these made it all the way down under to Western Australia and made a huge impact on the pin heads who had not seen or played one before! Hell I am thinking of selling a pin to get one. Just need room as well. Completely agree. 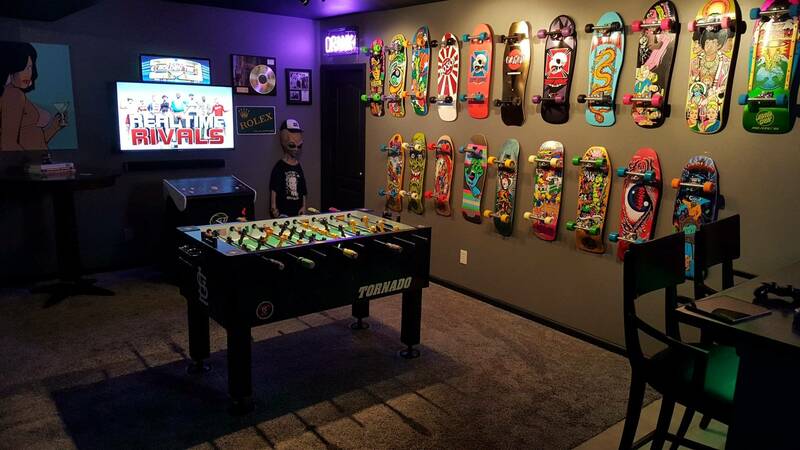 It gets more play than all my pins when I have people over. Correct in your assumption .... prevents "bounce outs"
Just got mine today and it has it! Pre-vents bounce outs... so much cool upgrades on this new machine compared to the old ones...loving it! 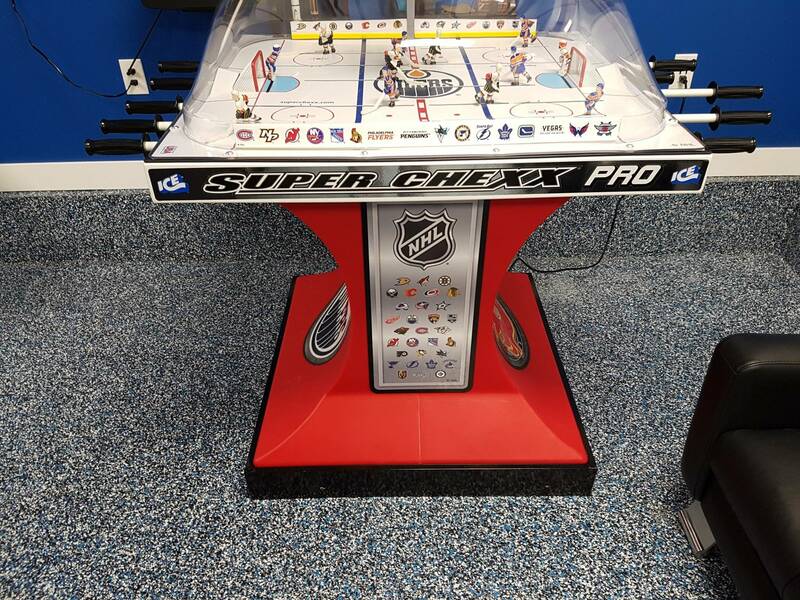 A location that I have some games at in st Augustine just got an older version, any links to manuals online? How long does the finish hold up on the players? And do the red/blue standard players have the same finish as the custom team painted players? Trying to determine if it is worth it to get the NHL licensed team colors and logos. Replacing standard red/blue players has to be a lot less coin when they wear out. 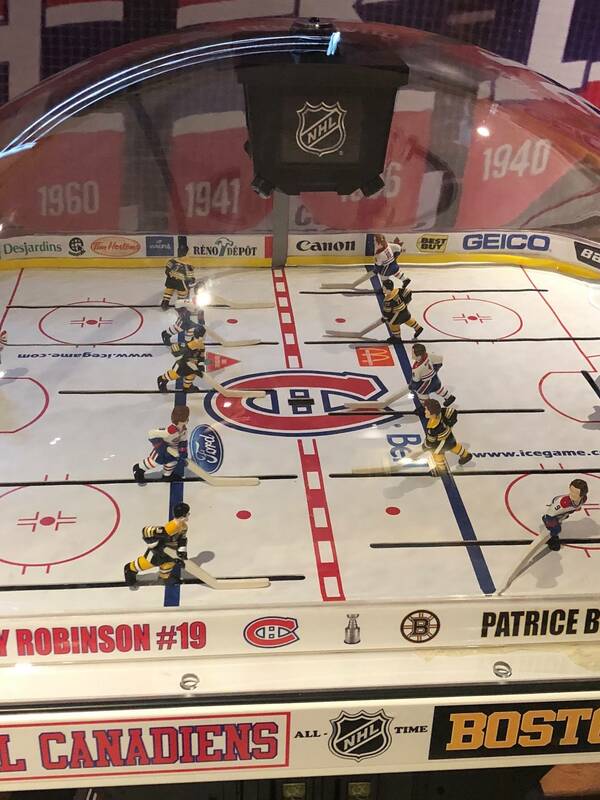 Actually it isn't more expensive really, it's $99 per team for NHL. 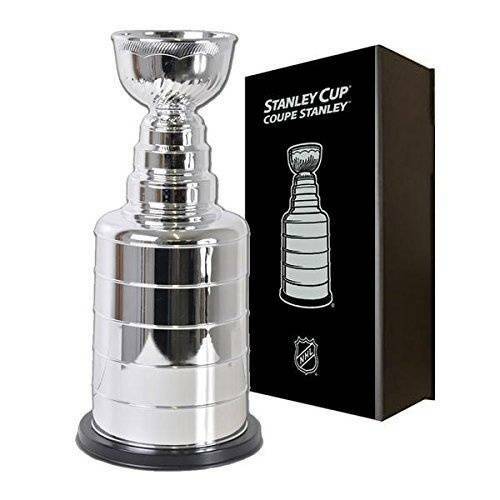 Look like it goes from $2695 to $3195 for the NHL Licensed version. Am I missing something? If you buy the teams to retrofit your old chexx, they're $99. So $99 for replacement players. I think the kit to retrofit is $400 (ice and players). However, that doesn't change the scoreboard logos and maybe some other minor details. 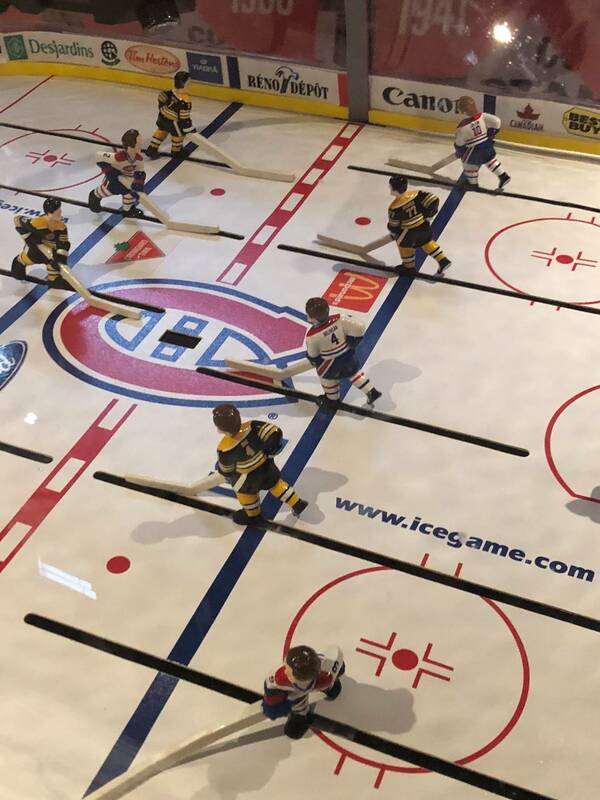 Theoretically, it's cheaper to buy the base game, then retrofit it and sell the extra parts than it is to buy the NHL version new I believe. Yes, it sounds stupid, lol. No - the players don't come with numbers on them. 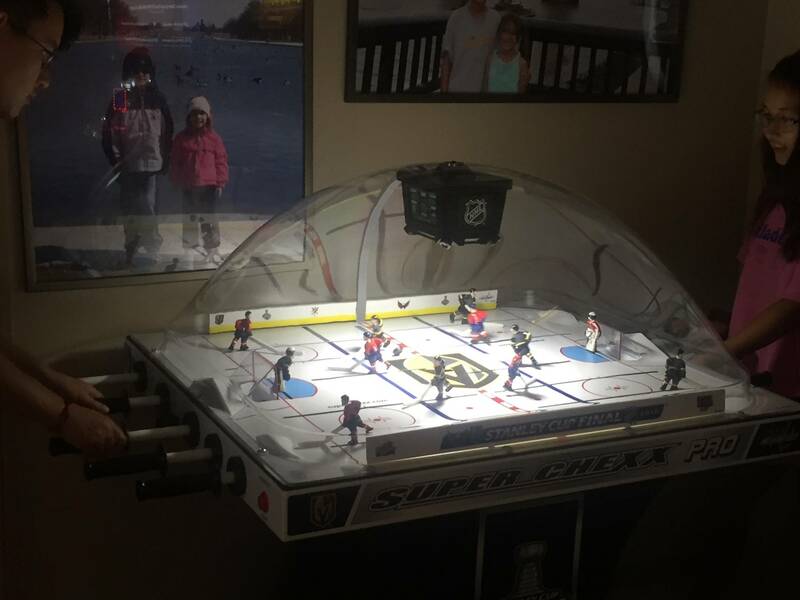 I've had my Super Chexx Pro (Sharks vs. Penguins, black split base) for a few weeks now - people (particularly kids) absolutely love it. A note for those who have the split base - if you actually need to split the base (I had a narrow doorway), note that the YouTube video from Super Chexx on the split base is for the old model, and NOT for the Pro, and thus can be misleading in figuring out what you need to do (the connections are a little different, as are the number of bolts). 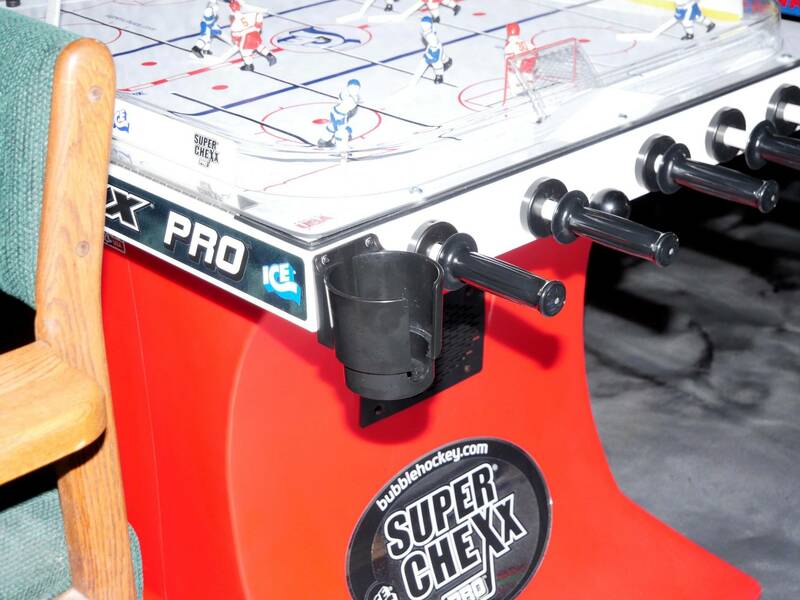 The instructions included in the Super Chexx Pro manual are correct, so rely on those. The video is helpful in figuring out the general context, but if they describe something that you can't see on your machine, go to the manual! Mine is supposed to be delivered today. Driver just called and said they don't think the truck is going to fit down my street. grrrr. Go to Home Cheapo and rent one of their trucks/vans for $19.99 for the first 75 minutes and meet the driver somewhere close that fits his truck. Totally worth it IMO. 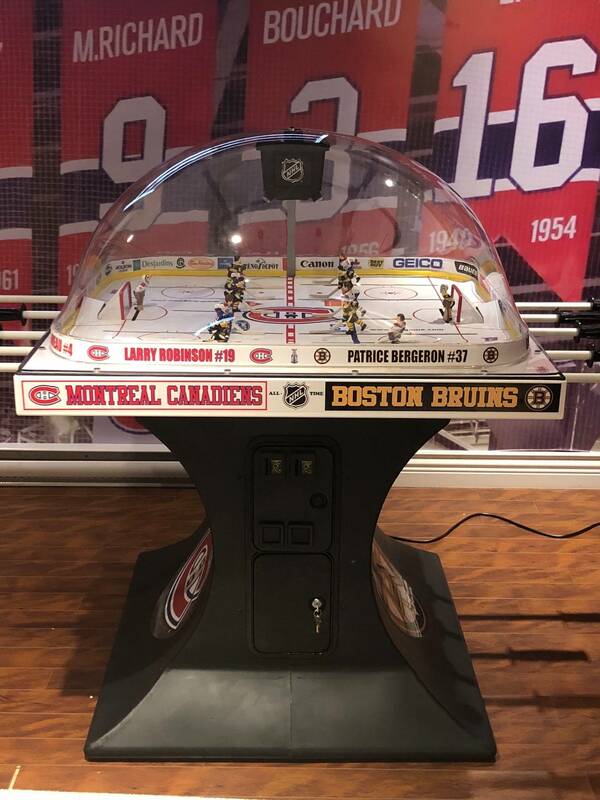 Electronics are programmed with the NHL team graphics as Home/Away, NHL Licensed playfield (team logo in center), team decals on both sides, NHL teams on side panel graphics, and of course team players. Does anyone have any DIY or retail cupholder solution for the Pro that they use? Boo button do anything other than start and eject puck? Boo sound? There are a few 'boo' callouts. They are not necessarily the crowing 'booing'. The game randomly decides which one you get. However, to get them to play there can't be any other sounds going at the same time. 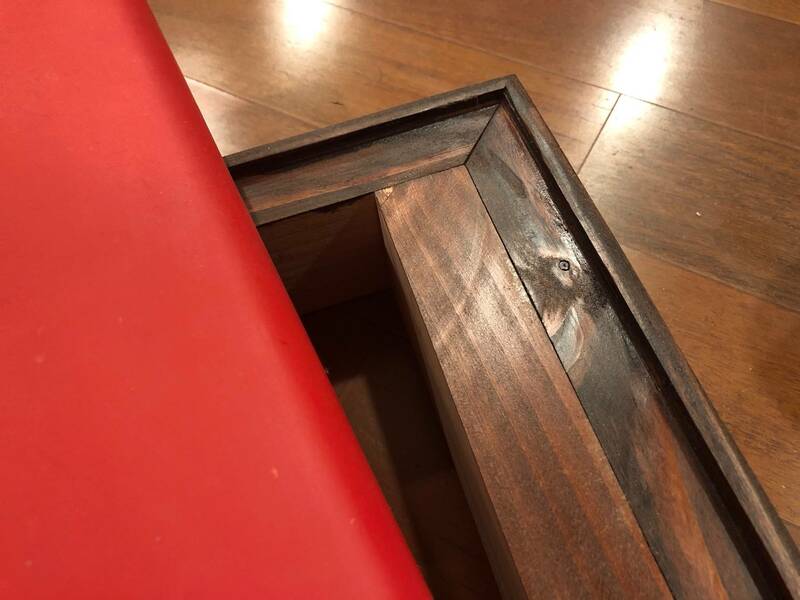 I use the common pinball cup holders on everything they will fit into. My pinball lineup used one on each machine. I have one on each side of my Chexx. 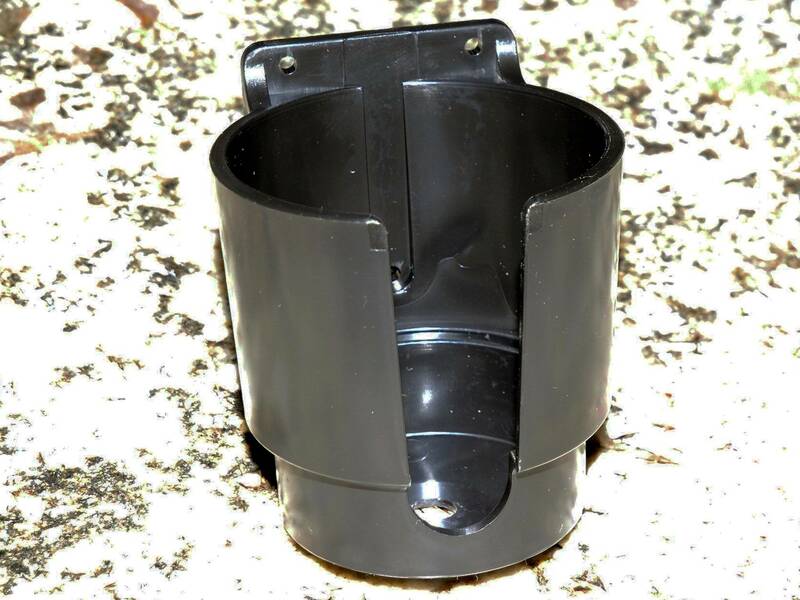 There's a catch though; you need to drill and tap 3 holes (8-32) to mount the holders. Once you do, they're nice and permanent. 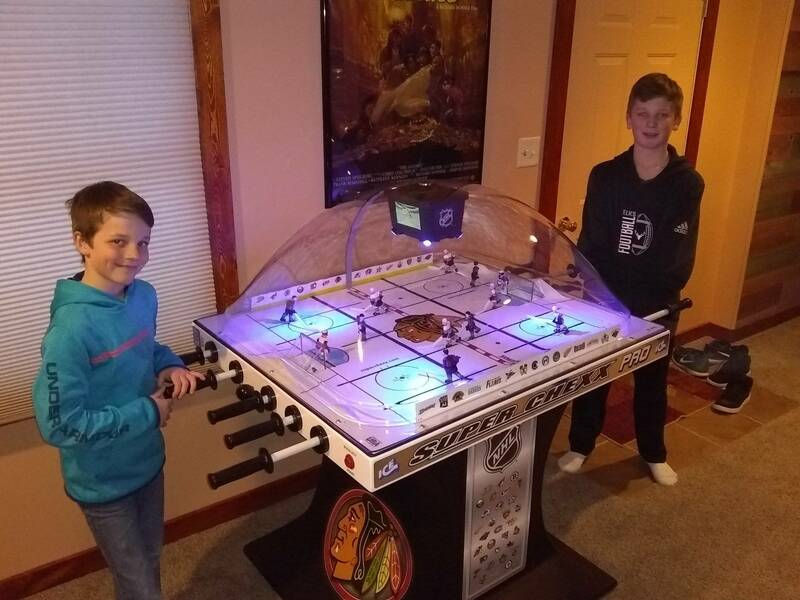 With where those are mounted, there’s obviously no serious competition going on with that table...people have to be cracking their knuckles when going for that left winger. Thank you for the suggestion - I will definitely consider that as an option. 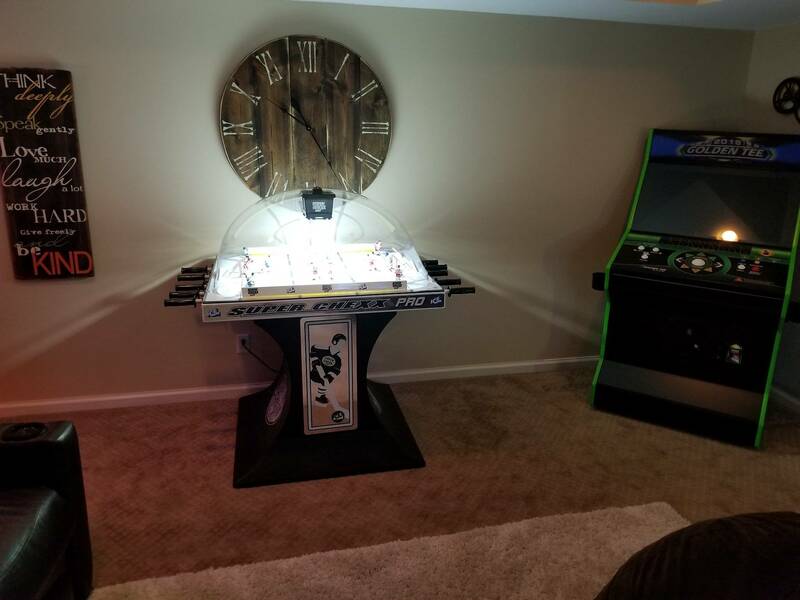 The game will be positioned between two finished pillars/support beams in the basement so I may just add two small shelves there instead of onto the actual game. I'm surprised they don't have an aftermarket solution. Chexx had released one for the Super Chexx, but it doesn't look like it works for the Pro and it is plastic and somewhat cheap looking from pictures. 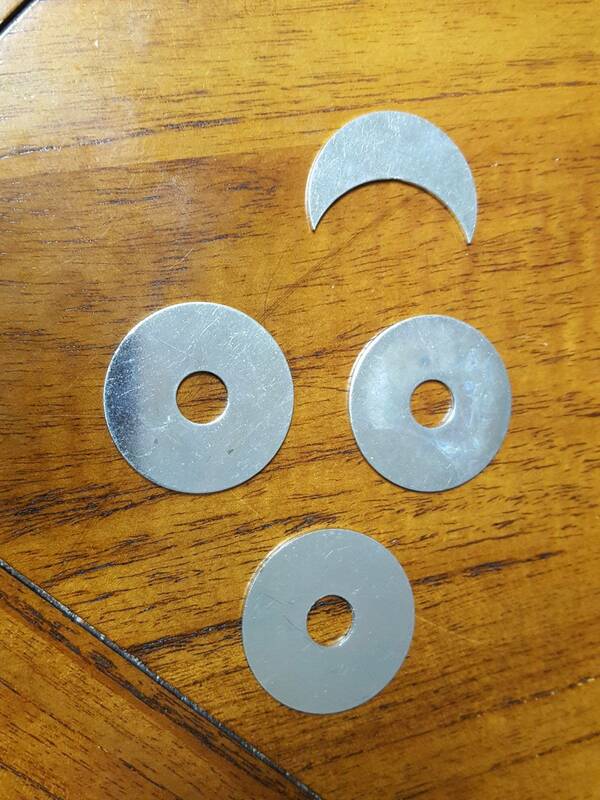 Are those pingulps with the L bracket removed? EDIT: You can get the optional high grip double faced tape for it, then you won't need to drill and tap holes. 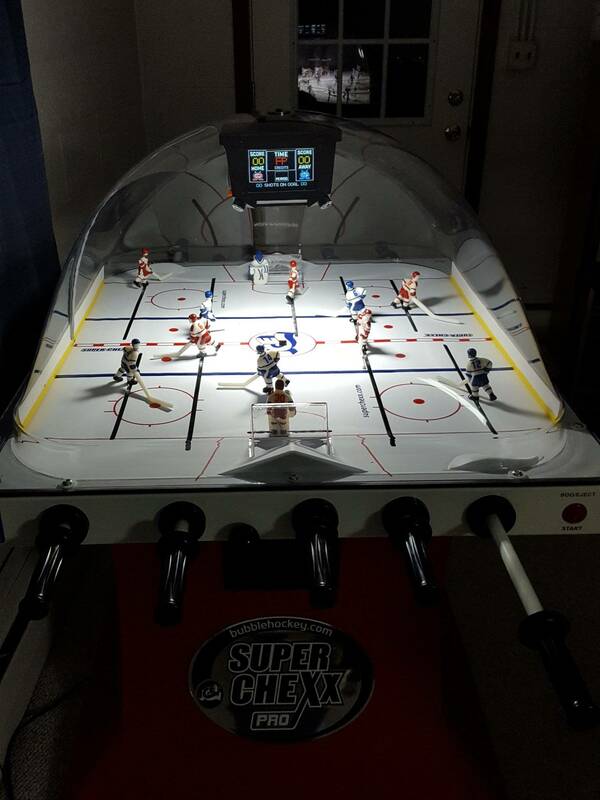 Thanks for the link, I might get a few for an air hockey table. Fellas, DO NOT drill into your game for a cup holder! Get yourself a marine suction cup - cup holder. These things hold my drinks doing 30 knots going over 5ft swells. Theres a million different designs to choose from. I hope this link works. I would say, don't drill holes unless you know what you're doing. Drilling and tapping is best left to those who have experience in that. Personally, I prefer something permanent. But. If suction cups work, go for it. 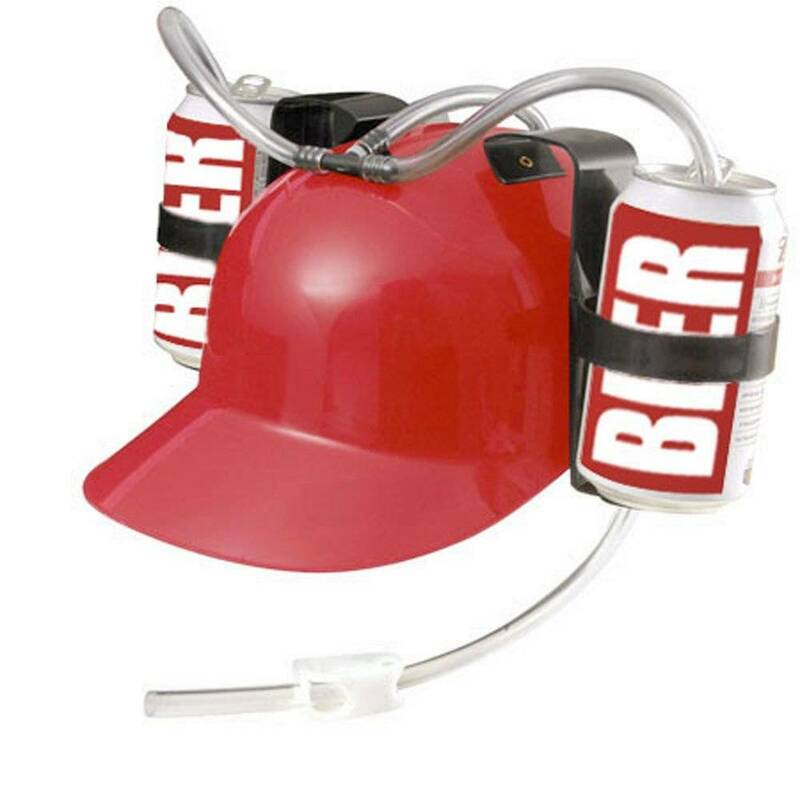 I just tell everyone no drinks near the games and I do not require any cup holders...easy. Liquids and electronics do not mix...I never understood the cup holder craze. No offense to any cup holder fans, but it just seems like an invitation for an accident. 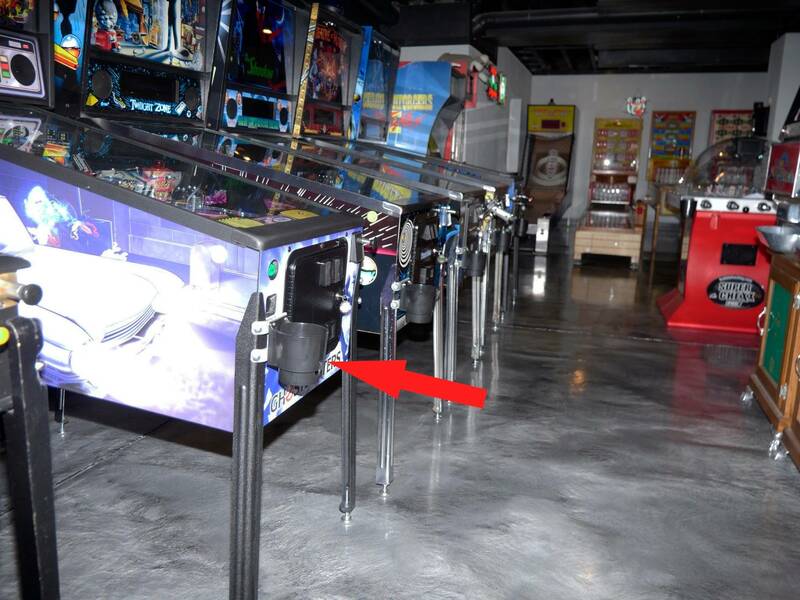 After having beer or soda accidentally kicked over on the floor several times or knocked off the playfield glass, I went the cup holder route. Never look back. Has anyone raised the height of the game? I played at an arcade last weekend and am a bit more bent over when playing than I would like to be. Can you trust the game on a raised base? I don't know the answer to your question, but at 6'1" I have to slump down a bit or else my view of the opponent's goal is completely blocked by the jumbotron. Great fun though. My kids love to beat me. It's the only time (besides air hockey) where my daughter uses profanity in this life. You can raise the game on a platform.